Brothers’ Vibe, AKA Tony Rodriguez, was born in Newark, NJ. Influenced in his early childhood by music due to the daily exposure from family members, his love and appreciation of the art has only intensified throughout his life. Tony’s father Vincent was a record collector and exposed the family to many old school Latin classics from artists like Tito Puente, Hector Lavoe, Willie Colon, Ruben Blades, Eddie Palmieri, Mongo Santamaria, Joe Cuba, Celia Cruz, Sonora Poncena and many, many more. Tony began collecting 7″ records himself and would listen to them for hours memorizing the artist’s names, label info, beats and breaks on each. In the mid 70′s with the introduction of the 12″, Tony’s collection started to grow even more. He recalls spinning at his first party at the age of 10. His involvement in the industry evolved as time went on. He gigged frequently and got into retail record sales working for various record stores. His impeccable ability to memorize music, artists and label details proved to be a valuable asset for him. He was also a Billboard reporter and assistant record pool director. His cousin, George Rodriguez, was then head of Garden State Record Promotions and exposed Tony to many of the popular clubs. He’s played at legendary clubs such as The NY Palladium, Studio 54, Club 1018, The Tunnel, The Limelight, Club 4D and many other smaller venues. In the mid ’80′s, with a heavy schedule playing out 5 days a week at times; he felt the burning desire to write and produce music. He was fortunate enough to meet Craig Bevan and Barry Zeger of Bassment Records located in Jersey City, NJ. In 1994, Tony Rodriguez started Brothers’ Vibe Productions and has been keeping busy in the studio since. Though deeply rooted in the Afro-Latin tribal house sound, Brothers’ Vibe will always bless his supporters with some filthy disco beats, minimal house gems or jazzy house vibes. 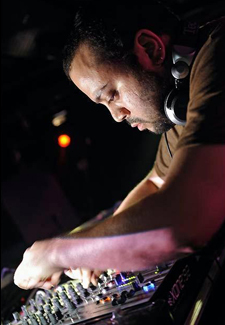 Many of his tracks have been spun by DJs worldwide, such as Derrick May, Tony Humphries, Junior Sanchez, DJ Sneak, Roger S, Armand Van Helden, Timmy Regisford, Luciano, Ricardo Villalobos and many others. Besides gigging throughout the US and Overseas, Tony is constantly working in the studio.